Yesterday, Google published the Android 4.4 factory images for all Nexus 7 and Nexus 4 devices. Although an OTA (over the air) update is currently being pushed out to Nexus 7 WiFi models, owners of a Nexus 7 LTE, a first-gen Nexus 7 or a Nexus 4 were still desperately waiting for their 4.4 update. With factory images, however, you can go ahead and flash them onto your device to get Android 4.4 before being able to update an OTA update. While some android-savvy people already know by heart how to flash a factory image, others might struggle with the procedure and be scared of messing up their device, although it’s very difficult to completely brick a Nexus device. For that reason, we created a guide on how to flash the 4.4 factory image so that everyone with a Nexus 4, Nexus 7 LTE or Nexus 7 (2012) can enjoy Android KitKat. Although the steps below are fairly easy to do (we used the same ones to flash our devices), please note that we don’t take any responsibility for any negative outcomes. Make backups of all important data. I recommend using Titanium Backup (root required) to backup all your apps and system data. Although it’s not necessary for the whole process, it’s smart to do a Nandroid backup of your system. A Nandroid backup makes an entire backup of your device including your memory block and partitions. For that, however, your device needs to be rooted and you need a custom recovery tool. Download Android SDK. The official developer tools contain adb and fastboot, which you’ll need later. Also, make sure to install the Google USB driver on your computer. For your convenience, copy the folder “platform-tools” in the “sdk” folder and paste it to an easily accessible directory, such as C:\Users\YourName on Windows. You can also rename the folder to “nexus” or something else if you like. Enable USB Debugging on your device. You can activate it in “Settings – Developer options”. In case you don’t find that location, it’s because you didn’t enable it. To do so, simply go to “Settings – About phone/tablet” and keep tapping “Built number” until you unlock the developer options. You should get a small screen notification once you succeeded. Connect your device to your computer with a cable. 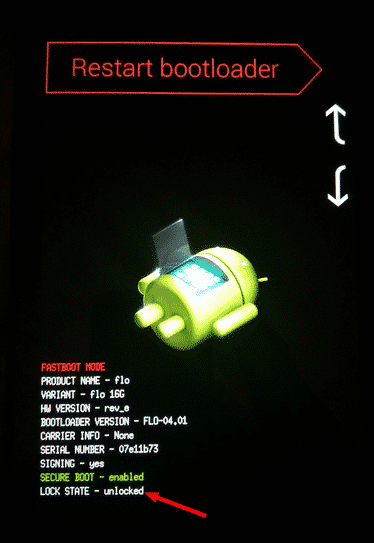 To be able to flash a factory image (or a custom rom) the bootloader of your device has to be unlocked. Please be aware that unlocking the bootloader will wipe all data on your device, so make sure to have backups. Before unlocking it, you can check if it is locked or unlocked. For that, reboot your phone into fastboot and check the last line “Lock state”. If you never rooted your device or flashed anything, than it should be locked and you can go on. Reboot your phone into bootloader. To do that, turn off your device first, then press the power button and the volume-down button simultaneously until it boots into bootloader. Start the windows command line or mac terminal and change the directory to the one of your renamed “platform-tools” folder. The command to change directories is cd location/of/folder. In my case below, I renamed it to “nexus”. Once you’re in the correct location, it’s time to give the unlock command. That’s the one wiping your data, don’t forget that. In the command line type fastboot oem unlock, execute it and agree to the unlock on your device. That’s it. To be sure, reboot again into the bootloader and check if your lock state is “unlocked”. Note: There’s a way to flash factory images without wiping your device. You should only do that if you’re on stock and not on a custom rom. See step 3 for more details. Download the Android 4.4 factory image. Make sure to download the correct image for your device. Unzip the downloaded tgz file and place the unzipped files in the (renamed) “platform-tools” folder. Skip this step if you already wiped your device by unlocking the bootloader or don’t care to lose the data. If you’re bootloader was already unlocked and you don’t want to wipe your device, then you need to edit the flash-all.bat (win) or flash-all.sh (mac) file with a text editor before executing it. Remove the “-w” part where it says “fastboot -w update image-….zip”. It should then look like that: “fastboot update image-….zip”. Remember, if you want to go from a custom rom to stock 4.4, it’s highly recommended to wipe your device. If you’re already on stock, then wiping is not necessary. Let the flash-all.bat (win), or flash-all.sh (mac) file run with admin privileges (right click -> run as administrator). Flash a custom recovery. I recommend using TWRP as your custom recovery. Once downloaded, move the img file to the “platform-tools” folder. To flash TWRP, boot into bootloader and use the command fastboot flash recovery FILENAME.img. Flash SuperSU. Download the zip file, move it to the “platform-tools” folder and boot your device into recovery using the command adb reboot recovery (or navigate to “reboot recovery” while being in bootloader). Now, put your recovery into adb sideload mode by going to “Advanced” (in TWRP). Then, use the command adb sideload FILENAME.zip to flash SuperSU. You’re done! You can now reboot your device. As already known, only the Nexus 5 comes naturally with the new GEL. So, if you want to try it out yourself, you can simply download and install the GEL apk. Google’s new major search update fixed some bugs people had while using GEL, especially on a Nexus 7. Thanks to that, there shouldn’t be any problems installing the launcher with the apk. Keep in mind that, in order to get Google voice commands working, you need set your system language to English (U.S.). To get an overview of the most popular launchers, check out our guide! 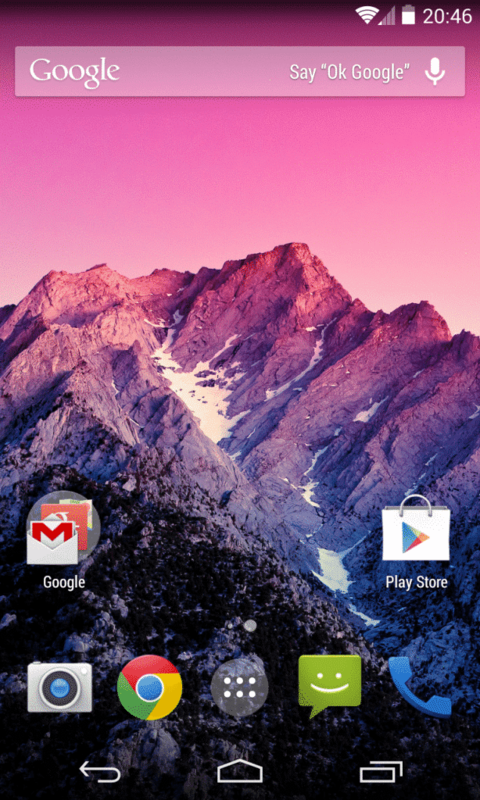 I hope this guide helps you flashing Android 4.4 onto your device! Have fun with KitKat and let me know if you have any questions.